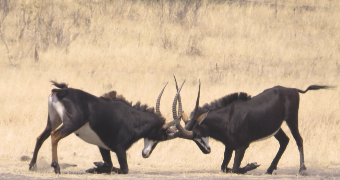 Zimbabwe has an excellent diversity of wildlife , scenery and historical sites which linked together give you a very complete safari experience in Africa. Zimbabwe’s key tourist destination and one of the seven natural wonders of the world. 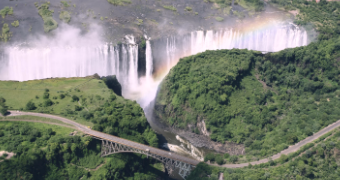 There are many accommodation and activity options here that would suit just about any taste in holiday needs – whether it’s slow and relaxing or fast paced adrenalin fuelled ,there is something for you in Victoria Falls. 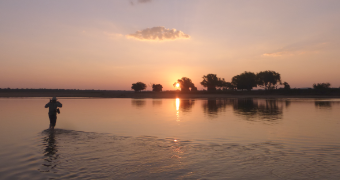 It’s a great place to start a safari especially if you have a big time zone difference from your home or to end a safari and relax before going home. This is Zimbabwe’s second city and has a history that is crucial to the Zimbabwe story dating back many centuries It’s a really laid back town that was once the main industrial centre for Southern Africa which for a number of reasons did not keep up the rapid expansion and has slowed right down but many will tell you of how it used to be. 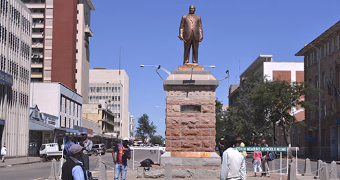 Highlights here are the Bulawayo Museum, Khami Ruins the Railway Museum and the many old colonial buildings and the extra wide streets. Always worth spending a bit of time here if you enjoy a bit of history. A beautiful National Park that has unique scenery and a key part of the human story of Southern Africa and the world , it is a huge area of granite kopjes and inselbergs with isolated valleys in between. This park is brimming with ancient and colonial history alongside one of Zimbabwe’s key rhino populations and some other unusual animals like Klipspringer and Rock Dassie. Highlights here are the ancient rock art which is considered the best in Africa dating back thousands of years, the colonial history of Zimbabwe is displayed here with the burial site of some of the key players in this, like Cecil Rhodes and also the Ndebele King Mzilikazi is buried within the Matopos area. 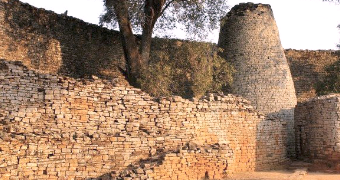 This huge stone structure is the largest ancient stone structure in Sub Saharan Africa and was the effective capital of Southern Africa between the 11th and 15th centuries. It’s an impressive place and well worth a visit to get a glimpse of African pre-colonial history and its links with the outside world. This is a huge park and forms part of the Trans Frontier Park made up of Kruger National Park ( South Africa ) Limpopo National Park ( Mozambique ) and Gona Re Zhou National Park ( Zimbabwe) It is a very diverse park with a diverse species list in all categories so there is lots to see and relatively few safari operators and visitors giving you a real wilderness feel with excellent game viewing. 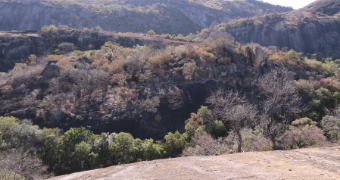 In the main safari areas the beautiful Chilojo Cliffs dominate, but the big views along the Save and Runde River systems are very special as well. 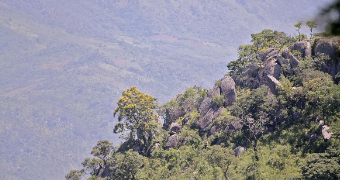 A mountainous area near the border city of Mutare on the Eastern border. It is a wonderful birding destination and great for walks, cycling and golf. Good for a weekend break or to end a safari or possibly a staging post if you were linking a safari with Mozambique. An area in the Eastern Highlands of Zimbabwe that is a popular weekend retreat for Zimbabweans from the cities – it’s an area of high grasslands, Trout Rivers and some wildlife areas. 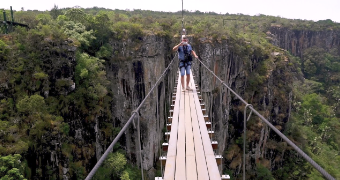 It’s not often on the foreign traveller’s itinerary as it’s not your classic African destination as it has an almost Scottish feeling to it in terms of weather and scenery. A great place just to relax – play some golf , go for a walk or do a bit of fishing. This is Zimbabwe’s Capital City and home to almost 2 million people. As African cities go it’s probably one of the better ones being well laid out and not overcrowded. It’s relatively new so there is no really old architecture or historical sites but it has a bit of this in the surrounding areas that require a day trip to get to and from. It’s a laid back city that is a nice place to start a safari when you have flown in from a long way before starting off on your safari. There are a number of very comfortable B&B type lodges in the suburbs and some modern city centre hotels.